Called "a pianist's pianist" by The New Yorker, Cecile Licad's artistry is a blend of daring musical instinct and superb training. Her natural talent was honed at the Curtis Institute of Music by three of the greatest performer/pedagogues of our time: Rudolf Serkin, Seymour Lipkin and Mieczyslaw Horszowski. Licad's large repertoire as an orchestral soloist spans the Classical works of Mozart and Beethoven, the Romantic literature of Brahms, Chopin, Tchaikovsky, Schumann and Rachmaninoff, and on to the 20th century compositions of Debussy, Ravel, Shostakovich, Prokofiev and Bartok. Ms. Licad’s recent engagements included the Nashville Symphony’s summer season playing Tchaikovsky’s Piano Concerto at the opening concert; Liszt’s Concerto No.1 and Totentanz in the Cultural Center of the Philippines with the ABS-CBN Symphony; a recital at the Husum Rare Music Festival in Germany, as well as at Festival Miami; Rachmaninoff’s Piano Concerto No. 2 with the San Antonio Symphony under Sebastian Lang-Lessing; Rachmaninoff’s Variations on a Theme by Paganini with the Rhode Island Philharmonic, under Lawrence Rachleff; returns to the Buffalo Philharmonic and the Adrian (MI) Symphony orchestras; performing with the Northwest Sinfonietta in Seattle and Tacoma, as well as the Tupelo Symphony; and recitals in Boston’s Isabella Gardner Museum and at the Harvard Musical Association, also in San Jose, CA and in Bogota, Colombia. A memorable highlight was her collaboration with the Wynton Marsalis Septet performing the music of Louis Moreau Gottschalk to accompany the feature film Louis, a silent film homage to Louis Armstrong which premiered in Chicago’s Symphony Center and was also seen at the Apollo Theater in New York City as well as in Detroit, Bethesda and Philadelphia. The project was repeated in London with two performances in Barbican Hall followed by a recording of the live music at Abbey Road studios. Licad has toured in Germany in past seasons with the Wurtemburg Philharmonic and appeared with the Freiburg Orchestra performing the Shostakovich Concerto for Piano and Trumpet, She has appeared in North America with orchestras such as the Chicago Symphony, Boston Symphony, Philadelphia Orchestra, New York Philharmonic, National Symphony, Los Angeles Philharmonic, and many others. In Europe she has played with the London Symphony, London Philharmonic, Bayerisches Rundfunk Orchestra, and Orchestre de la Suisse Romande and the Moscow State Academy Symphony. In Asia, she has performed with the Hong Kong Philharmonic, New Japan Philharmonic, Tokyo’s NHK Symphony and her native Philippine Philharmonic. Among the conductors with whom she has collaborated are Claudio Abbado, Andrew Davis, Charles Dutoit, Kurt Masur, Sir Neville Marriner, Zubin Mehta, Seiji Ozawa, André Previn, Gerard Schwarz, Michael Tilson-Thomas, David Zinman, Pinchas Zukerman, as well as the late Sir Georg Solti, Eugene Ormandy, and Mstislav Rostropovich. Cecile Licad has performed in recital with Murray Perahia, Peter Serkin and Nadja Salerno-Sonnenberg, with whom she has appeared at Lincoln Center, Orchestra Hall in Chicago, and the Kennedy Center, respectively. She also performs with cellist Alban Gerhardt in Germany and in the US. She appeared as soloist in the Steinway Piano Sesquicentennial Celebration at Carnegie Hall, performing six Rachmaninoff songs with tenor Ben Heppner, and has made television appearances with Mstislav Rostropovich. As a highly regarded chamber musician, she has performed regularly with ensembles such as the New York Chamber Symphony, St. Paul Chamber Orchestra, Guarneri Quartet, Takacs Quartet, Chamber Music Society of Lincoln Center, and Music from Marlboro. She also appeared as guest soloist on tour with the Orpheus Chamber Orchestra in Leipzig, Hamburg, Dusseldorf and Cologne, among other European cities. 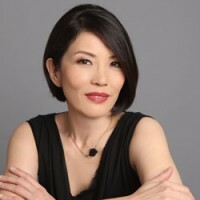 Her summer festival appearances have included Caramoor, Tanglewood, the International Music Festival of Seattle, Mostly Mozart Festival (in both New York and Tokyo) as well as the Santa Fe Chamber Music Festival, La Jolla Chamber Music and Eastern Music Festival. She has also performed at the Great Mountains Music Festival in Korea. On the Music Masters label, Licad released a recording of three works by Ravel: Le tombeau de Couperin, Gaspard de la Nuit, and Sonatine. She has an all-Gottschalk recording on the Naxos label. And on Sony Classical, she has recorded Schumann’s Carnaval, Papillions and Toccata in C Major; and Rachmaninoff’s Piano Concerto No. 2, and Rhapsody on a Theme of Paganini with the Chicago Symphony, conducted by Claudio Abbado. Her Sony Classical release of Chopin’s Piano Concerto No. 2 and Saint-Saens’ Piano Concerto No. 2, with André Previn conducting the London Philharmonic, was awarded the Grand Prix du Disque Frederic Chopin. Angel/EMI produced her solo all-Chopin recordings, which include Études, op. 10. Also for Angel/EMI, she recorded, with Nadja Salerno-Sonnenberg, the Franck Sonata in A Major, the Brahms Sonata No. 2 in A Major, and Sonatensatz in C Major. Cecile Licad began her piano studies at the age of three with her mother, Rosario Licad, in her native Philippines, and later studied with the highly regarded Rosario Picazo. At seven, she made her debut as soloist with the Philharmonic Orchestra of the Philippines. As one of the youngest musicians to receive the prestigious Leventritt Gold Medal, Ms. Licad won immediate international recognition, and her career was launched.